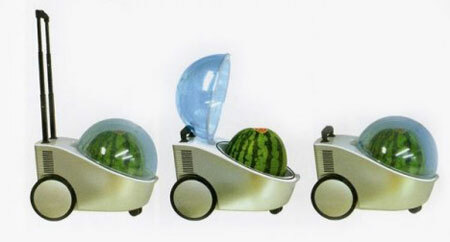 Watermelons are held as luxury in the Land of the Rising Sun. 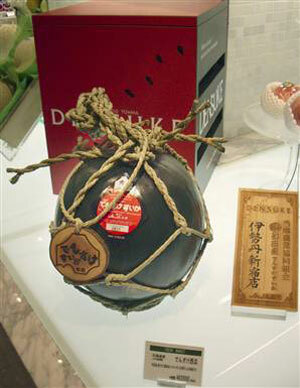 The Black Elephant watermelon was sold for a record sum of $6100 at a recent auction in Japan. It makes the Black Elephant the most expensive of all watermelons ever sold in the world. What makes this watermelon so expensive? 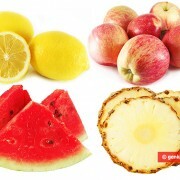 A spokesperson for the Hokkaido agriculture cooperative where this 17-pound paragon was grown said that the watermelon is characterized by a unique taste, it is hard, juicy, scrunchy, very sweet and has an unusual black skin. Other watermelons of this kind will be sold at supermarkets at more acceptable prices ranging from $180 to $280.